From a celebrated religious scholar comes a riveting account of the Catholic Church's failed attempt to crush Martin Luther and his Reformation. In 1521 the Catholic Church was hunting for Martin Luther. Angered by the Christian reformer's unapologetic criticisms of the Church, the Holy Roman emperor had called for him "to be apprehended and punished as a notorious heretic". Knowing that inquisitors would murder the monk and crush his fragile movement if they caught him, Luther's followers spirited him away to Wartburg Castle in central Germany. There Luther hid for the next eight months as his fate - and that of the Reformation - hung in the balance. 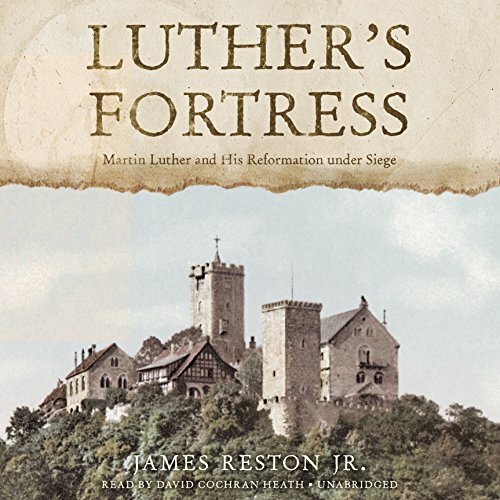 In Luther's Fortress acclaimed religious historian James Reston, Jr., describes this crucial but little-known episode in Luther's life. While at Wartburg Luther translated the Bible, fought his inner demons, and held together his fractious and increasingly radicalized movement from afar. A gripping portrait of the theologian at a transformational moment, Luther's Fortress reveals how Luther and his Reformation emerged from Wartburg Castle stronger than ever.